The State Bank of Vietnam (SBV) will retain a tight and cautious monetary policy to fight against inflation for the rest of the year, the state bank announces at a conference in Hanoi on Wednesday. Figures from SBV show credit and money supply grew at low rates in the first eight months of the year in accordance with the government’s tight and cautious monetary policy. The total money supply and outstanding loan has increased 9.2 percent and 9 percent respectively from last year’s figures so far this year, according to the state bank. Credit to production sector moved up 15 percent in the first eight months, of which loans to agriculture and rural development rose 30.5 percent. Credit to non-production sector, meanwhile, dropped 17 percent. Of the amount, loans to property and stock investments declined sharply 43 percent and 10 percent respectively. Some lenders have started reducing interest rates on common production loans to around 17-19 percent per annum. The state bank also notices that foreign currency exchange rate has stabilized after being volatile in the first quarter of the year. The dollar-dong exchange rate fluctuated at the end of last month due to the soaring global gold price, the state bank adds. SBV announces that it will retain tight monetary policy to cool inflation and adjust interest rates in accordance with the consumer price index (CPI)’s move. The state bank asks lenders to continue to comply with the credit growth cap of below 20 percent this year. Commercial banks have to continue to respect the 14 percent ceiling on dong deposit rates, SBV warns, adding that it will strictly punish violating lenders. 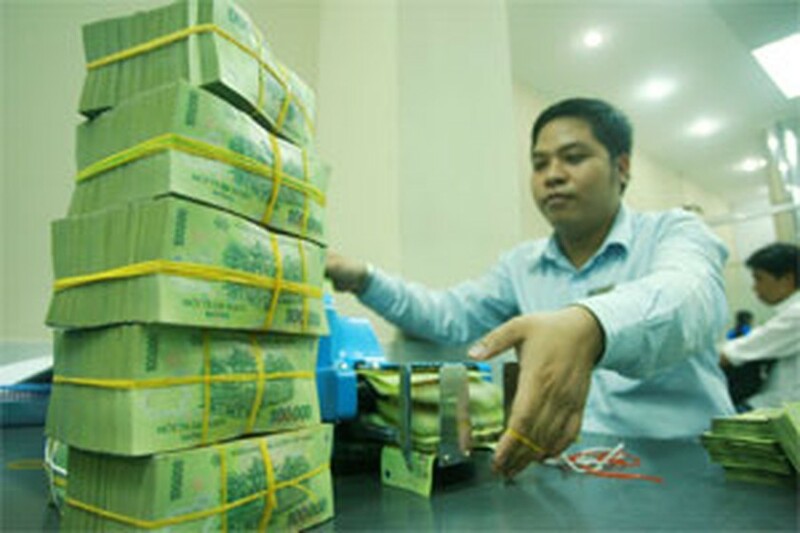 Vietnam’s tightened monetary policy is expected to be sustained through 2012. The government said last week that the goal for next year is to control inflation and ensure stability for the economy. The government has set the economic growth target for 2012 at 6.5 percent, slightly higher than this year’s 6 percent.